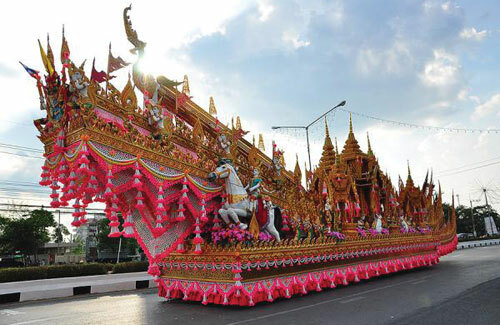 The traditional Thai New Year is an occasion for merrymaking in Bangkok as well as in other parts of the country. 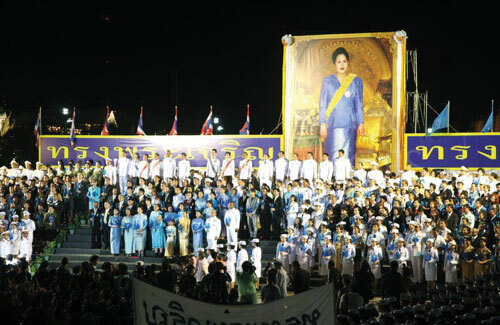 Thais mark the occasion with religious ceremony as well as public festivities. Anyone who ventures out on the streets is likely to get a thorough soaking, but all in a sprit of fun and goodwill at the peak of hot season. Songkran comes from Sanskrit language which means “move” or “change place” as it is the day when the sun changes its position in the zodiac. Songkran Festival falls on April 13, 14 , 15 of every year. 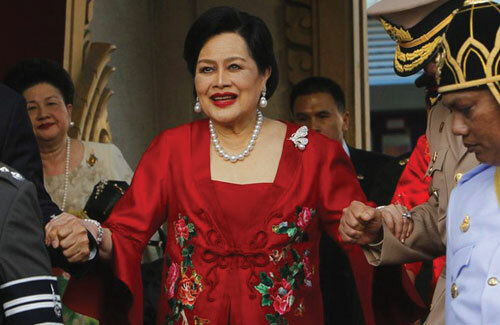 April 13 is “Maha Songkran Day” which means a big step of changing, April 14 is “Nao Day” which means the day after Songkran Day and before the old Thai New Year’s Day, and April 15 is “Taleung Sok Day” which means Thai New Year’s Day. 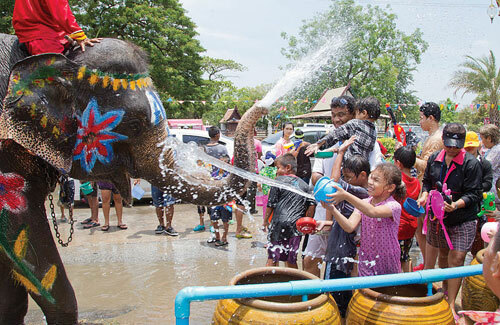 In some ways, Songkran resembles the Christian holiday of Easter. Young and old dress in new clothing and visit their temple, where they offer food to the monks. 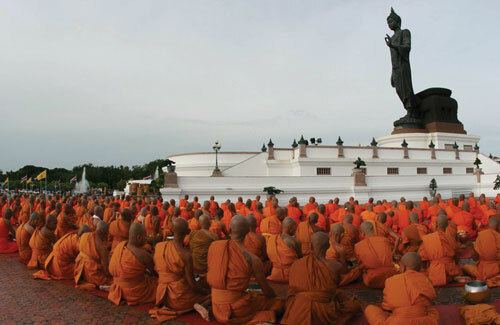 It is a day of celebration as well as a feast day for the monks, and music is often played as a backdrop to the festivities. On the eve of Songkran Day, housewives give their homes a thorough cleaning. Worn-out clothing, household effects and rubbish are burned in the religious belief that anything old or useless must be thrown away or it will bring bad luck to the owner. During the afternoon of the 13th, Buddha images are bathed as part of the ceremony. Young people pour scented water into the hands of elders and parents as a mark of respect while seeking the blessing of the older people. In ancient times, old people were actually given a bath and clothed in new apparel presented by the young people as a mark of respect for the New Year. 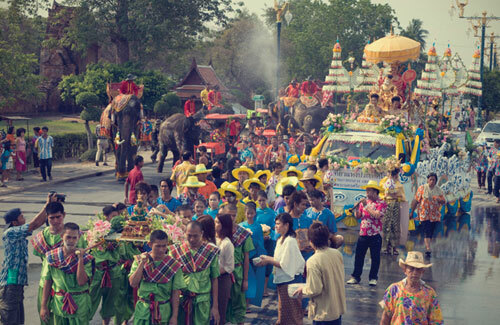 The whole country usually celebrates Songkran, but the merriest festivities always take place in Chiang Mai. As a result, Thailand’s second largest city is always crowded with revelers, and visitors wishing to experience the fun of a Chiang Mai Songkran must make arrangements months in advance. 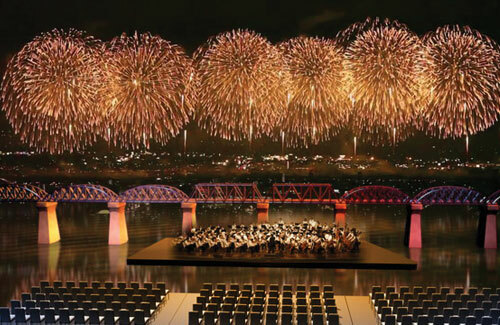 Of regional celebrations, perhaps most spectacular is the Yasothon Rocket Festival held in the Northeast in May. At this time, huge home-made rockets are fired into the air as an invocation for rain, the timely arrival of the monsoon being crucial for the rice harvest. Whether the rockets actually encourage the rain or not, no one in Yasothon misses this occasion for having a wild, joyous time before the arduous work of another agricultural season begins. 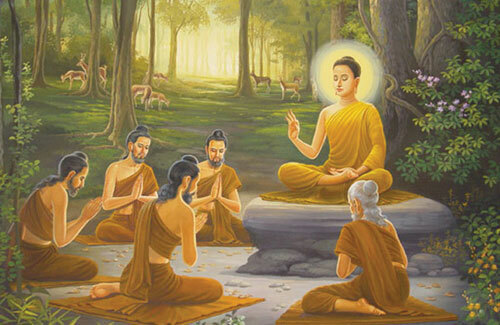 The full-moon day of the eighth lunar month commemorates the Buddha’s first sermon to his first five disciples after attaining Enlightenment more than 2,500 years ago. Evening candlelit processions are staged in all Thai Buddhist temples. 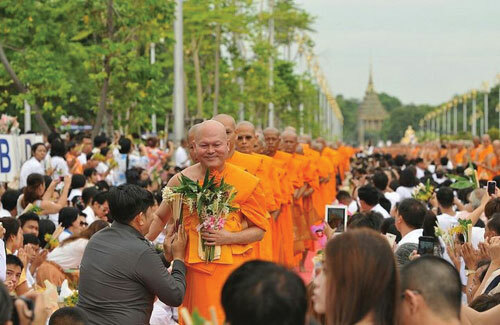 Phansa is the most auspicious time for Buddhist ordinations since it marks a period of renewed spiritual vigour. 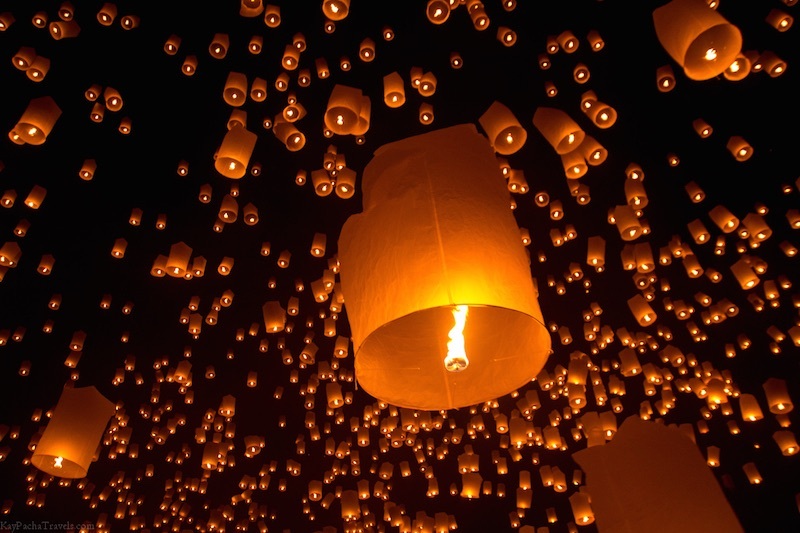 Thailand’s Candle Festival traces its origin back to the time when monks were decreed to remain at their temples for the three mouth rainy season. The people would then bring candles to the temples to enable the monks to read the scriptures at night. 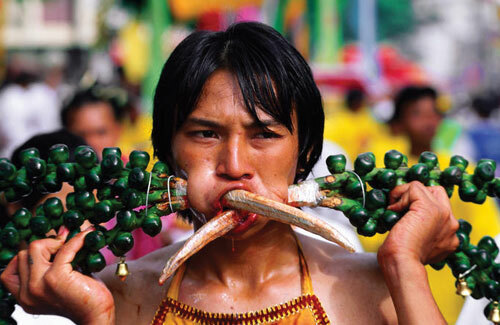 This tradition has evolved over time, and has now become one of Thailand’s most spectacular festival. The Candle Festival is now the magical candle exhibition, procession and pageant – highlighting artistic skills as well as religious devotion. 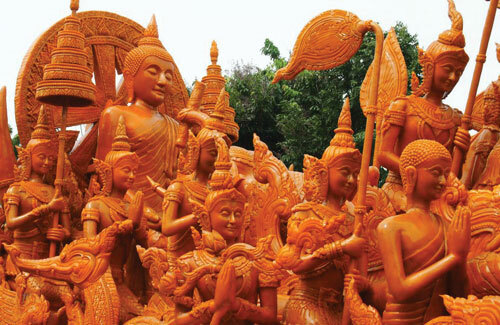 Magnificent wax candles, decorated and paraded from various temples, are accompanied by local cultural performances. 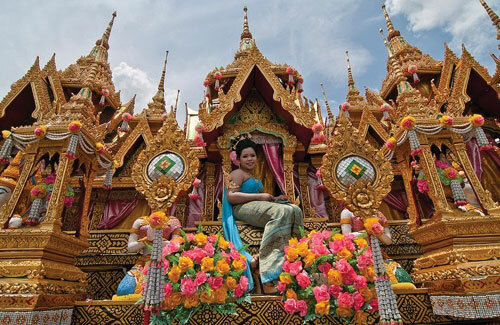 Floats decked with flowers carry maidens beautifully dressed in traditional Thai silk regalia, alongside waxen representation of supernatural deities like the Naga, the king of the serpent, and the winged Garuda, which is the symbol of the Thai monarchy. In the evening, devotees holding lighted candles circle the temple grounds. It is the beginning of the Buddhist Lent and the sight lends a magical climax to the pomp and pageantry of the daytime activities. 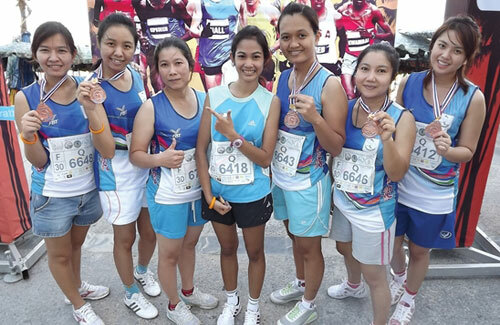 This annual event at Thailand’s scenic beach resort attracts world-class runners and local competitors who compete on one of the most picturesque routes in Southeast Asia. 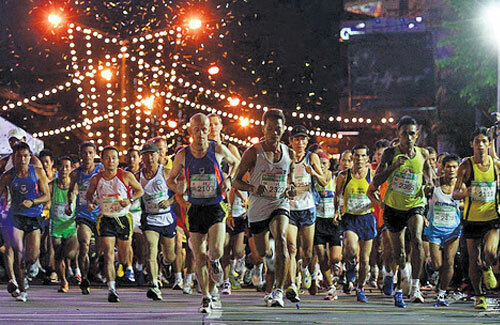 The marathon and mini-marathon races are competed in several different classes. Throughout Thailand, public buildings are decorated in honour of Her Majesty Queen Sirikit on the occasion of her birthday. 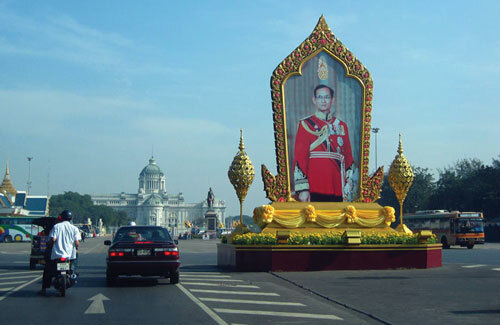 The most splendid are to be seen in Bangkok, particularly along Ratehadamnoen Avenue and in the area around the Grand Palace, where government offices and streets are garlanded with coloured lights. 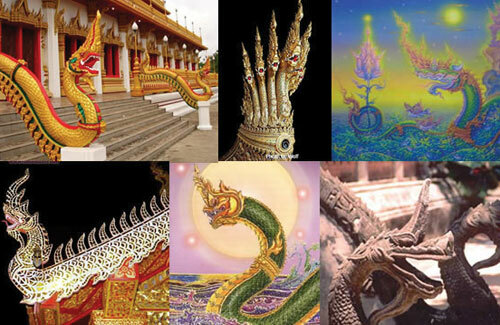 See for yourself the beautiful, mysterious and unexplained Naga Fireball natural phenomenon and enjoy a whole variety of activities. Amaze yourself as you watch the mysterious globular fires of Naga Fireball – resembling fire flies from a distance, the crimson balls shoot up quietly from the Mekong River The phenomenon occurs each year full moon night of 11 month of lunar year You can also participate in a whole host of other activities in this area of ancient cultures. 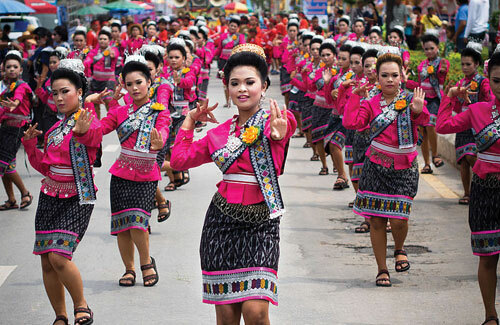 This annual festival originated among immigrant workers during the 19th century in Khatu District and remains one of Phuket’s major events. Residents of Chinese ancestry undertake a ten-day vegetarian diet, and there are ceremonies at local Chinese temples and parades featuring remarkable feats by ascetic believers. Generally during the ninth month of the lunar calender. 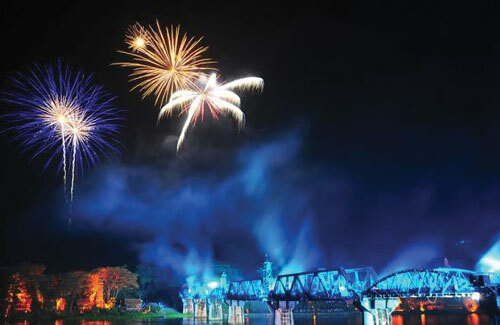 Bridge on the River Kwae, Kanchanaburi made famous in the movie of the same name, the Bridge on the River Kwae is the setting for this 2 week-long series of events in a province that also possesses many other attractions. 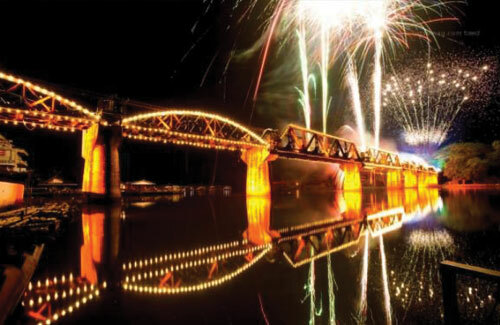 Highlights include a light & sound presentation at the bridge, archaeological and historical exhibitions, and rides on vintage trains. 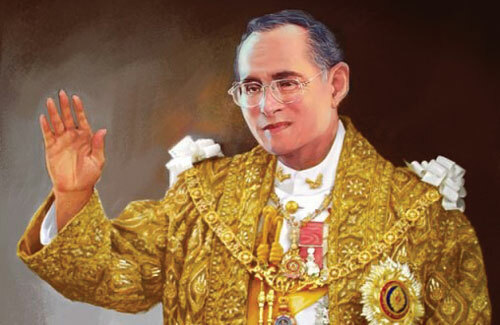 The deep reverence felt by all Thais for their King is perhaps unique in the modern world, and his birthday provides an annual occasion for public expression. Government buildings, businesses, and homes all over the country are elaborately decorated and the area around the Grand Palace is spectacularly illuminated.